Kitchens inc. have records signed to labels such as Odour, 3am and Oh So Coy Recordings. 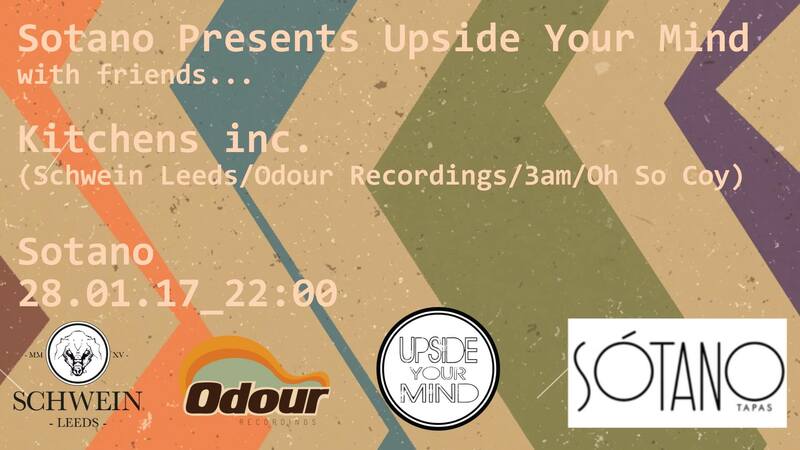 Upside Your Mind has been playing records for over 20 years and covers all that is good in worldwide music for the soul, whatever genre or form that music may take. His residency at Sotano, York, sees two regular nights in the shape of Do It To It every Thursday (rare Soul, Disco and Funk originals) and also Sotano presents Upside Your Mind.